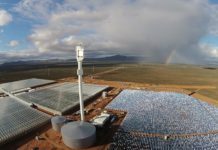 Researchers around the world are discovering a variety of benefits resulting from installation of photovoltaic (PV) solar energy systems on farms and ranch lands, as well as the use of solar energy to power pumps for irrigation systems. 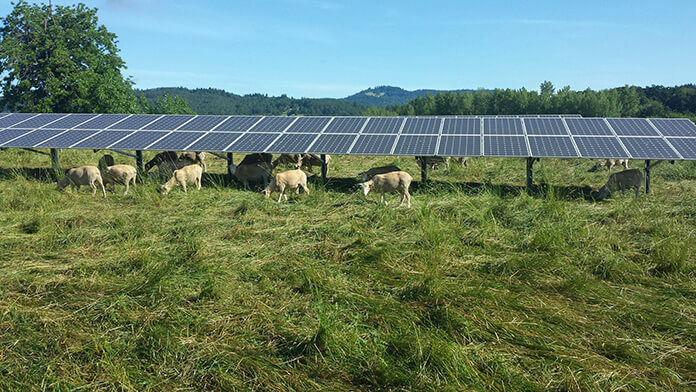 Researchers at Oregon State University (OSU) in Corvallis discovered some surprising benefits associated with installation of solar PV panels installed in a field on the OSU campus. “The major concern of farmers for installing solar panels in their farms is that panels occupy vast areas, which is true. [However,] our research shows that by having solar farms we can have more food, water and energy,” Elnaz Hassanpour Adeh, a PhD researcher at OSU’s Nexus of Energy, Water and Agriculture Lab (NEWAG), told Solar Magazine. “We experience longer growing season, three times more water-efficient biomass, and 90 percent more biomass.” That’s in addition to the emissions-free electricity the solar energy system is producing for OSU. In Minnesota, others are finding that building solar energy systems based on eco-friendly design and construction principles can help revive and sustain dwindling populations of crop and plant pollinators, including bees and butterflies. Adopting these practices conveys other environmental benefits, as well, including reducing storm-water runoff and erosion by making use of native, perennial vegetation rather than the non-native species, gravel or turf grass typically used at solar energy sites. Smallholder farmers, their families and communities in developing and lesser developed countries are benefiting from investments in solar energy, as well. 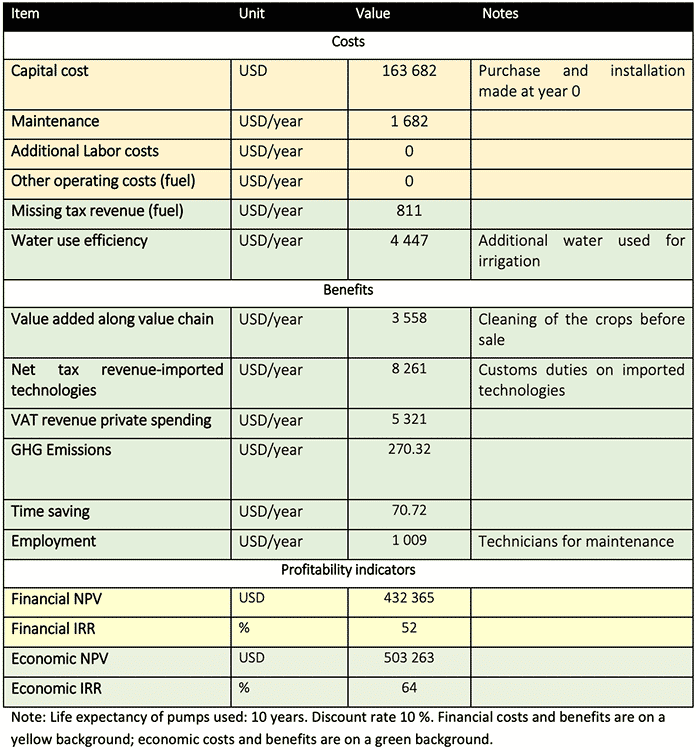 Analyzing two solar energy-irrigation systems projects in Senegal, a UN Food and Agriculture Organization (FAO) research team found that they yield an outsize return on investment (ROI), as well as increase crop yields and quality, and farmers’ incomes significantly. An accidental observation made while walking through the PV-equipped, OSU field led Adeh and NEWAG Lab colleagues, with the guidance and support of lab founder and Adeh’s Major Professor Chad Higgins, to undertake what would be her PhD research project. “We were crossing the field with these solar panels…It was hot summer, and we realized the grasses were greener under the panels, so we started to think about measuring the soil moisture and grass biomass and quantifying the results,” Adeh said in an interview. The solar panels were installed in 2013, Adeh and NEWAG Lab colleagues began their research project, which was carried out with funding from the U.S. Dept. of Agriculture, in 2015. “I measured parameters for the growing season, which was May to September 2015. Our weather station data are available for two years,” she explained. What they found surprised them. 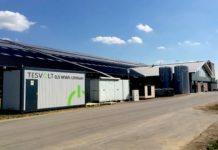 Grass biomass was 90 percent greater in areas covered by PV panels, there was a greater variety of grasses growing under them and they were three-times more water-efficient than those growing in areas not covered by PV panels. In addition, grasses under the panels were experiencing longer growing seasons. Adeh’s research is part and parcel of an expanding range of research OSU’s NEWAG Lab is undertaking. The focus on the NEWAG Lab at OSU is on the water, energy and food nexus, so this research is part of a greater vision. [It] was an experiment to find basics related to Agrivoltaics – Agriculture under photovoltaics. We think this research needs to include economics and law, [as well as applied science and engineering]. Shared, community solar has been growing by leaps and bounds since the state government enacted uncapped, Community Solar Gardens legislation in 2013 and investor-owned utility Xcel Energy launched its Solar Rewards Community for Minnesota program in 2014. Just 14MW of solar power capacity had been installed statewide in Minnesota as of year-end 2014. As of end August this year, more than 400MW of community solar power capacity is up and running, and growth is expected to continue. Looking address landowners’ concerns about the effects large-scale solar energy installations would have on property values and the environment, Minnesota passed legislation establishing eco-friendly solar site management practices in 2016. Rather than following standard, boilerplate site design and construction practices, solar project developers plant native, perennial plant species that benefit pollinators, such as birds, bees and other insects, as well as reduce storm-water runoff and erosion. Five other states – Illinois, New York, Maryland, Vermont and South Carolina – have followed suit. Minnesota electric cooperative Connexus Energy won over the local community and authorities and gained approval to build a utility-scale solar PV installation in Ramsey after highlighting the ecological benefits, and local, economic opportunities, building the project based on “pollinator-friendly” design principles would have. 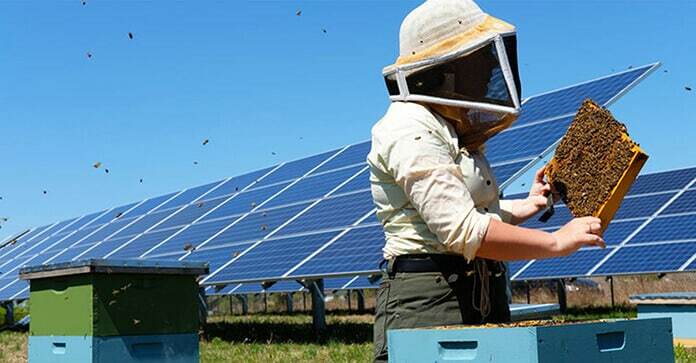 Testifying in front of local authorities, pollinator experts and ecologists pointed out that the solar energy system would open up work opportunities for local seeders and apiarists, as well as provide ecological benefits for the surrounding area. 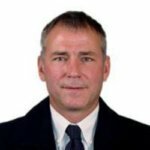 Adopting “pollinator-friendly” solar energy site design and construction practices may help solve some vexing problems for farmers, ranchers, ecosystems and society – the mysterious honey bee “Colony Collapse Disorder” experienced in the U.S. over the past decade, as well as declining numbers of other signature species that play important roles in crop and plant pollination, such as the Monarch butterfly. Adopting these practices gives solar project developers a competitive advantage when seeking approval from landowners, other community members and local authorities, according to Rob Davis, director of the Center for Pollinators in Energy. Smallholder farmers and ranchers in developing and lesser developed countries, such as Senegal on Africa’s west coast, face a very different set of environmental and socioeconomic conditions, issues and challenges. That said, the basics of growing crops for food, materials, and energy, remain the same, and farmers and ranchers in Senegal are tapping into the same solar energy vital to growing crops and raising livestock in order to increase yields, enhance the value of their agricultural products, and improve their livelihoods, communities and ecosystems, as well. A research team that investigated the financial, economic, social and environmental effects of two, international solar irrigation systems projects in Senegal funded by the Italian Agency for Cooperation and Development (AICS) found that farmers and farming communities were earning higher incomes and local jobs were being created as a result of using solar PV energy to power more modern, drip and flood irrigation systems. Financially, both projects have high, positive net present values (NPV) and internal rates of return (IRR) and pay for themselves in just two years. Proponents have been pushing international development agencies and others to invest in solar-powered irrigation systems development projects in developing and lesser developed countries for many years. 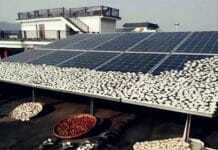 Those efforts began to bear fruit around 2009, when solar PV costs began to decline sharply, FAO points out. There’s a lot more to carrying out a solar energy development project, and fully realizing its potential benefits, than purchasing equipment, however. That lead FAO to develop and launch INVESTA (Investing in Energy Sustainable Technologies in the Agri-food Sector), a methodology that enables researchers to comprehensively and holistically asses the costs and benefits of renewable energy and energy efficiency practices with an eye towards revealing their hidden socioeconomic and environmental costs. Research teams have used INVESTA to evaluate renewable energy and energy efficiency investments in the milk, vegetable, rice and tea value chains in Kenya, the Philippines, Tanzania and Tunisia, efforts that are part and parcel of the multilateral Powering Agriculture – An Energy Grand Challenge for Development initiative. Applying INVESTA to evaluate Professionals Without Borders and Green Cross’s Energy to Stay solar irrigation systems development projects, Serge Noubondieu from Rome’s Sapienza University, in collaboration with members of FAO’s energy team and the Italian National Agency for New Technologies, Energy and Sustainable Economic Development (ENEA), revealed the attractive investment and sustainable development prospects these projects hold, as well as the actual benefits these projects they are yielding already. The two projects had positive economic and financial outcomes. 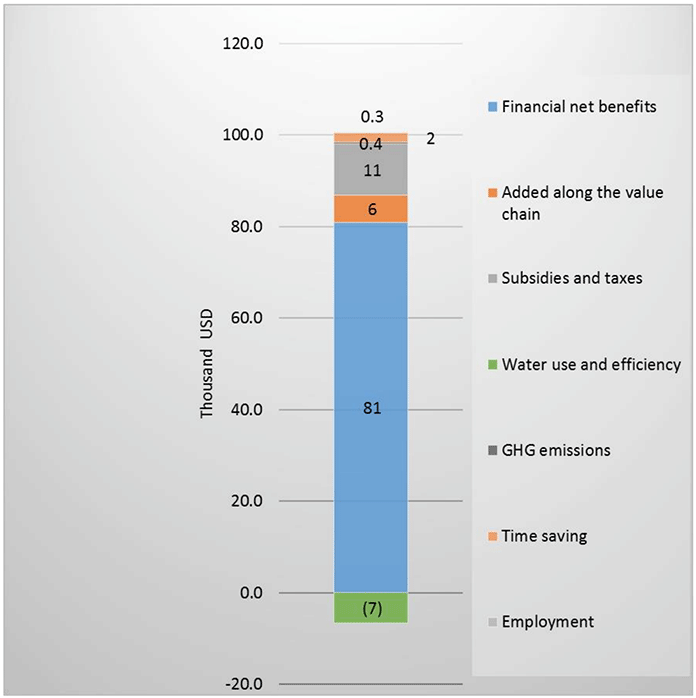 From an environmental perspective, the replacement of fossil fuel powered electricity generators by solar systems for irrigation led in both case studies to a reduction of greenhouse gases emissions. – Stefania Bracco, FAO consultant and Adjunct Professor of Quantitative Methods for Social Sciences at the University of Turin, Italy, told Solar Magazine. From a social point of view, the projects resulted in an increase in household income and in employment creation.